One of my first blog posts from Cairo last Fall described an encounter with a special man and an initial tour of the High Institute of Ballet. He had made an impact on my impressions of this place. “The office, which had been abuzz with activity of both female and male faculty rushing around negotiating student files, now becomes unusually still and quiet as the Director of Cairo Opera Ballet enters. He is a bit of an aloof and cultured character. I cannot figure him out just yet but am impressed just by the aura. He wears a brown vest and light wash jeans, is gallant yet slim, and when introduced to me, says nothing, kisses the back of my hand, slowly and certainly. Last week, I attended the final performance and the final exams of the students I taught this Fall. I hadn’t seen them since January. 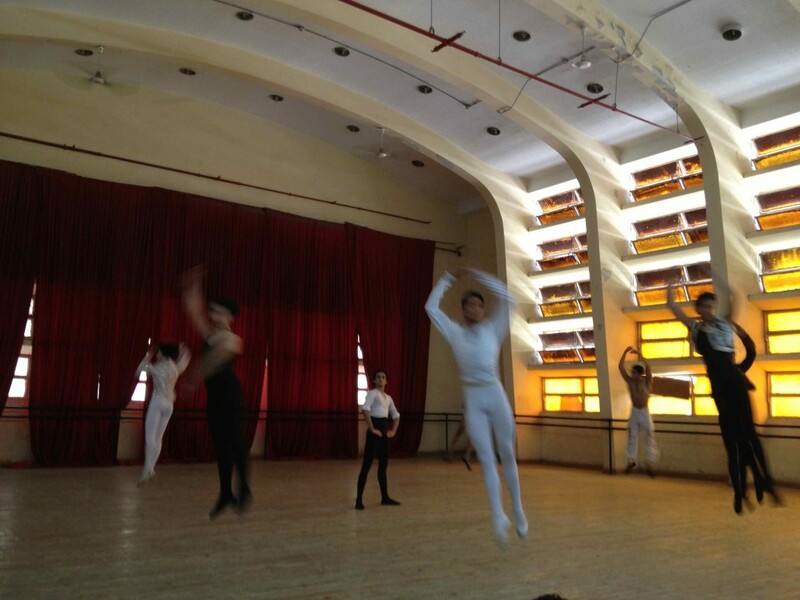 For the performance, the students took to the grand stage of the Cairo Opera House. Audience was invitation-only, parents and afficianados. Flamenco, traditional dances from Upper Egypt, male ballet students flying through the air, special appearances by elite professionals, and a high-energy all-girl take on Gangnam Style. But during Act II, the recital rook a somber turn as the High Institute remembered a special man who had recently passed. An enormous portrait was lowered onto stage as a backdrop. This was the same man I had met during that first visit to the Institute office. Abdel Moneim Kamel. The esteemed director of the Cairo Opera House for decades, a first-rank ballet dancer, and a loved dance educator. May he rest in a dancing peace. A few days later I returned to the Institute to watch the examinations of my former students. I hadn’t seen them since the end of the first semester. If you read my previous post about my feelings of the exam process, you know this was a pedagogical challenge for me. I wasn’t sure what sort of impact I had had. Was this Fulbright experience worth it? Worth anything? For them, the other teachers, for me? As I watched the students, I definitely saw more bolder movement and a willingness to step up to the lead even if they weren’t the best dancer. Those are two things I had hoped to bring to the Institute: an equality of expectation and a push to dance with full capacity. Then the students performed one of the routines I had choreographed (but this time to techno music instead of The Decemberists). The backdrop for all this was a bit of disturbing news for us foreigners in the city. An American citizen and director of the CASA program being stabbed in the neck. A planned bomb attack thwarted. Some of the same alertness that we had here in September following the events at the embassy. This time around, I am in love with the people and the good I am able to share. 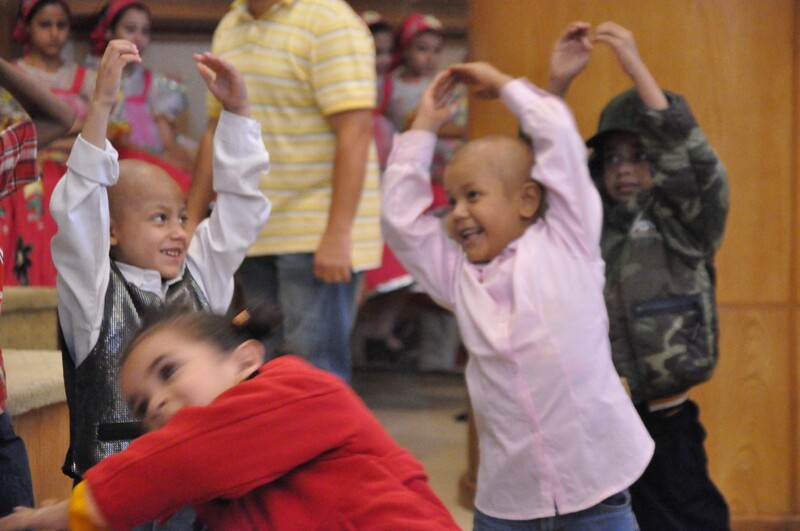 I am also still leading dance activities at 57357 Children’s Cancer Hospital Egypt and today was the best dancing day at the hospital ever! I wish I could have stopped and taken a picture. The outpatient playroom where we dance every Tuesday was packed. No one was sitting out, which typically happens. And when a young boy with a mass of a tumor growing on his jaw grabbed my hand to try his first leap-turn combination, I could actually feel his joy. Staff and parents were fully supportive. My plan has always been to build a more sustainable dance program at 57357 with other dance practitioners. I don’t want the dancing to end when my time here does. But this has been more difficult than expected. Dancers here are incredibly busy. 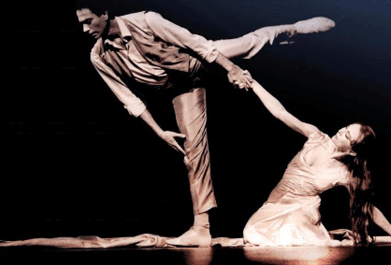 Plus there is little history of dancers and artists in hospitals, schools, and other public places. I led one professional development workshop in December, but most of the participants were too young, there was no translator, and nothing ever came of it. Today I walked into the volunteer office inside 57357 and a woman says, “Hi Shawn! Great to see you! Do you remember me?” (translated from Arabic). I had found her face familiar but wasn’t able to place her. Turns out she is a graduating student who was at that workshop in December. She had decided to follow-up on those ideas and was there at the hospital today to start her volunteer application process! Hopefully she will be one of many dance practitioners at the 57357 Volunteer Appreciation Day next year. I am ending this blog post with an appeal. Every year, a few times a year, I raise funds for different causes. My Facebook friends have come to expect year. Like a cycle, I have raise at least $3,000-5,000 for the past five years. But this year is harder for several reasons. My goals are binational, both monetary and terpsichory. Please click here, read what we are trying to do, and donate what you can. Any amount. Any currency. Doing good is not a one-time thing, not linear; it is a repetition of dancing circles. This is where I fell in love with dance, with challenging my body, with entertaining a crowd. This is where I criticized myself in a mirror for over a decade. My teachers (Karolyn, Renee, Donna, Linden) pushing for me and my dance pals to take big physical risks and to dance with everything we had, from brain to pointed toes. This is where I eventually turned away from the mirror and the competitions, and toward artistry and altruism. 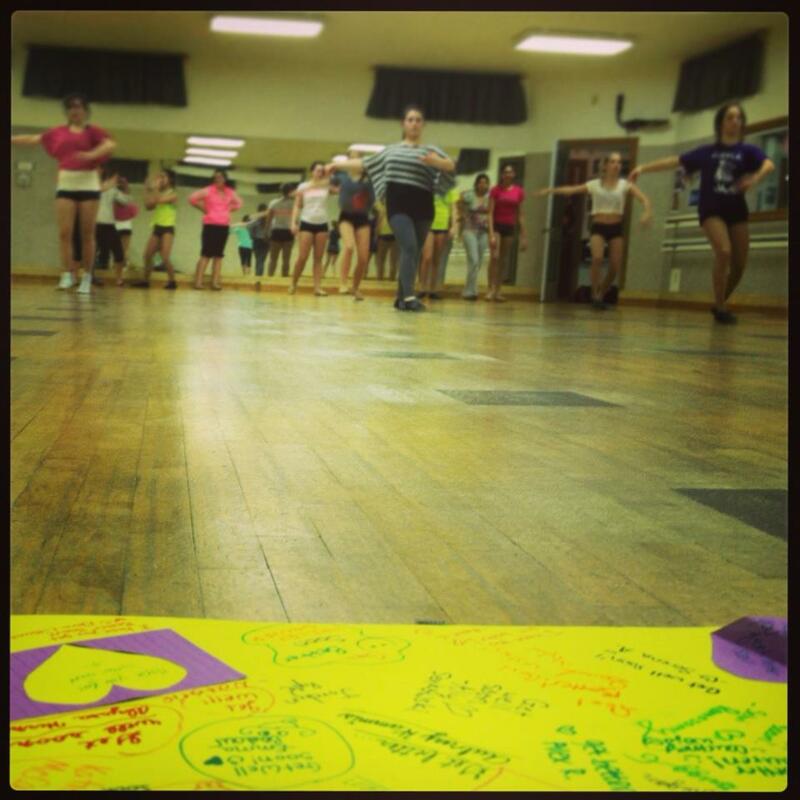 Bohaty’s School of Dance in Mid-Michigan. This is where I met some of the greatest and long-lasting friendships I have ever known. If you or your children dance, you probably know what I mean. Yesterday I walked into the studio and hugged my former student Kelly, who is now a lead teacher. An impressive one at that. I participated in the stretches and exercises then sat on the side to observe. Kelly informed the students that there was a large card on the floor they all needed to sign after class, because one of their friends has a brain tumor. Tomorrow this tiny dancer, Lauren, would be facing another brain surgery. I accidentally dropped my pen. Struck by the words. Another dancer. Another brain tumor. Another relapse. Another surgery. 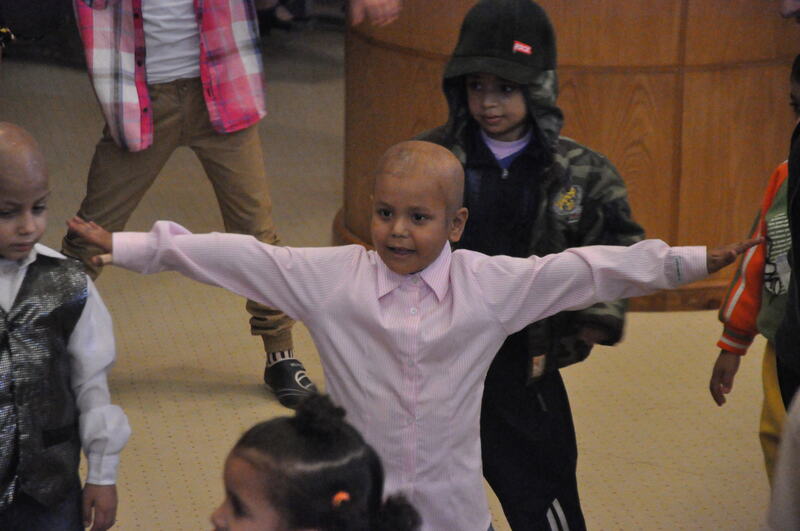 Childhood cancer striking another dance studio. This is Lauren. She is 10. 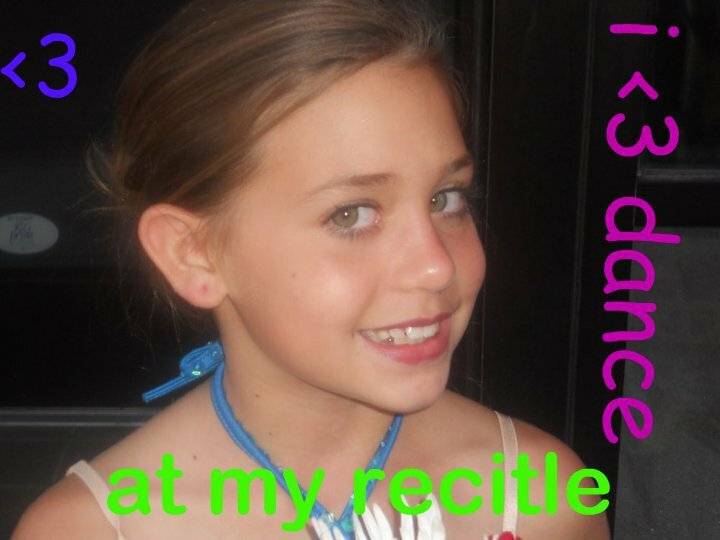 As you can see by her self-made photo, she hearts dance. She also kept getting headaches. The doctors found a lemon-sized tumor in her brain 19 months ago. They did brain surgery right away and her family was told there was only a 1% chance the tumor would return. And so this dancer is facing another brain surgery. This news hit a particular spot in me. Donna was a student of mine. 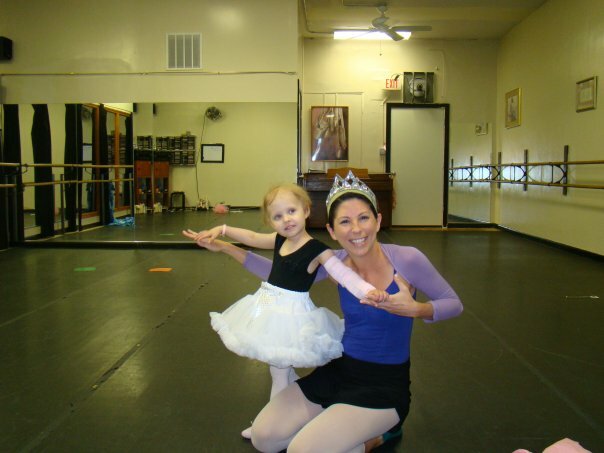 She danced every week, despite having a brain tumor. She had a relapse. She had another surgery, and another. She learned to walk and talk all over again, several times in her four years. Read her cancer story here. She was amazing. She continues to inspire me, friends and strangers around the world to do Good Things in her name. Maybe you’re one of them. Donna and I on her 4th birthday. If you’ve been following my blog, you probably know my mother is fighting breast cancer and that my father and grandmother and aunts also battled cancers. My heart and support is with them. But when it comes to this cause, my dollars and energy go to the kids. Like the color for breast cancer is pink, the color for childhood cancer is gold. There are no NFL players wearing gold socks; no gold buckets of chicken from KFC; no overpopulous of gold ribbon water bottles. Many national cancer organizations use children’s faces but little (half a penny for every dollar donated) goes towards treatment, research or trials for children’s cancers. I wrote about this desperate underfunding in a previous blog post. 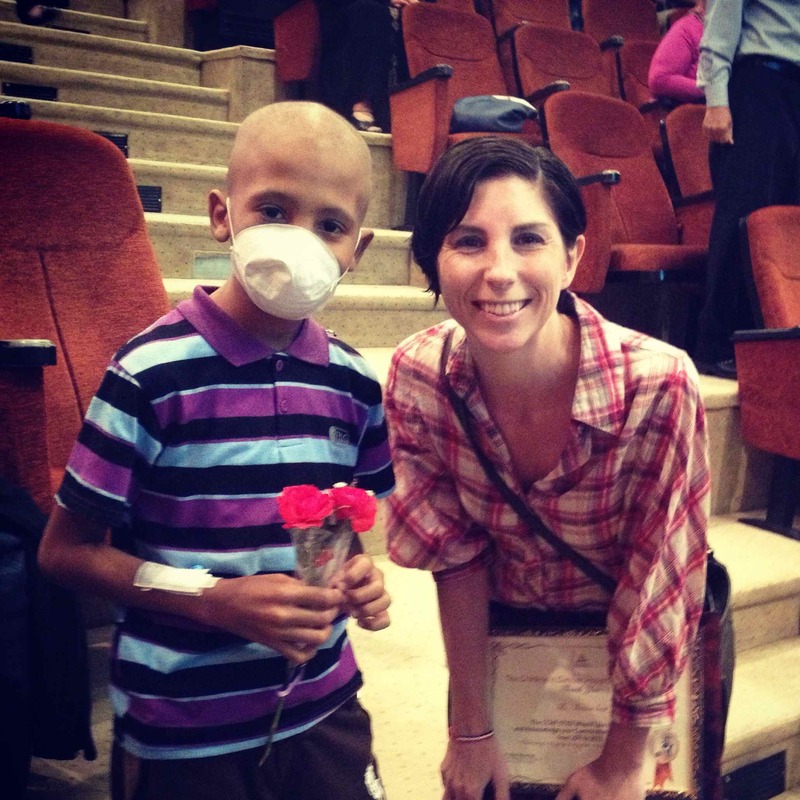 73% of kids who survive their cancer will have chronic health problems as a result of their treatment. And if you know this issue, you know that kids are not just mini-adults. Their cancers require specialized treatment. 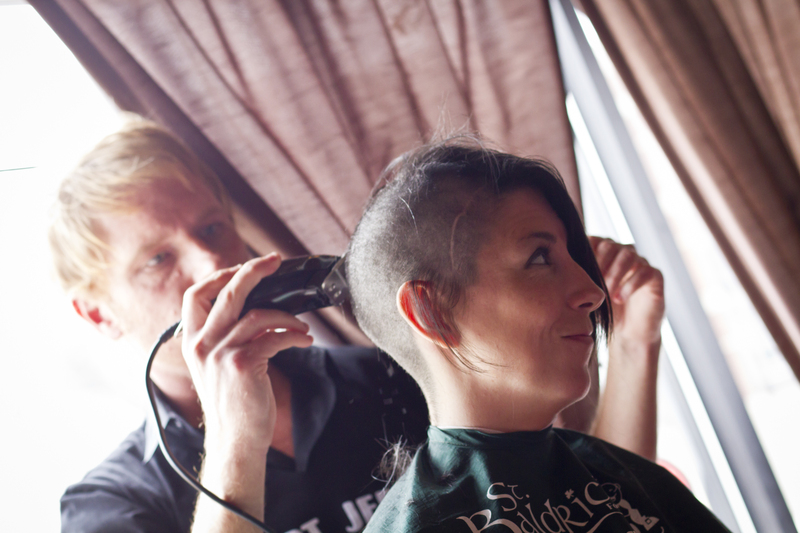 St. Baldrick’s is one organization doing the most for childhood cancer. On March 24 last year, during an event produced by Donna’s Good Things, I shaved my head for the cause. We raised over $79K and witnessed the oncologists and researchers receiving the actual funds. Dr. Lulla is using the grant money for a “A Longitudinal Study of Biomarkers in Pediatric Patients With Central Nervous System Tumors.” Other programs include research in how to maybe preserve fertility for these children, as well as a nurse or specialist to better explain the processes to the kids. St. Baldrick’s is the number one funder of research for childhood cancer outside the US, granting over $125 million since 2000 to labs and hospitals. Next month, Donna’s Good Things is again hosting a St. Baldrick’s event, with shavees ages 11 to 89. I will be back in Egypt and won’t be shaving this year. But I am inspired that a childhood friend of mine has decided that she would be gracious enough to step in. She has committed to driving hours to Chicago and shaving her pretty locks. An act of courage and love, believe me. You can donate to her campaign here. Right now. Click the green button and give $5 or whatever you can. If Donna can no longer dance, maybe we can make it possible for Lauren. When you are 4-years-old and there is some beast inside you that you don’t understand. When you are told you are sick and you don’t feel sick. When you are 13 and facing chemotherapy and puberty simultaneously. (Well, some version of puberty.) When you are 7 and your limbs don’t respond the way you want them to. The way they used to…when you used to be able to swim and run. When you don’t feel comfortable in your bones. When the adults around you offer you strange smiles. When the tumor on your little head is obvious for all to see, and your classmates stare at where your eyebrows used to be. I met a young dancer named Donna Quirke Hornik back in Chicago a few years ago. She stepped into my dance class at age 3 and changed my life. She danced every week even though her small body went through surgeries, transplants, chemo, radiation, and treatments I can barely imagine. She had an aggressive brain tumor. I saw how dancing gave her both a physical therapy and a sense of being hopeful and happy in her body. Because of her, I got involved with Children’s Memorial Hospital, now Lurie Children’s Hospital of Chicago. I joined the Young Associates Board and kept on teaching dance to current and former patients. Donna taught me to say yes to all of life’s experiences. She taught me to feel fears and pain fully, then move on. She taught me that when there is misbehavior all around you, stay focused and wait it out. She taught me that when you fall, you have two choices: get yourself up or ask for help. She taught me to be articulate and positive in explaining what I need. She taught me that there is no excuse not to dance and laugh. She taught me that each day counts, so ask for the good macaroni ‘n cheese. Donna passed away peacefully at home in October 2009, between her loving parents. When she left, they vowed to keep doing good things in her name and founded Donna’s Good Things. When I came to Egypt, I brought a little bit of Donna with me. Her courage, her humor, her energy and empathy. 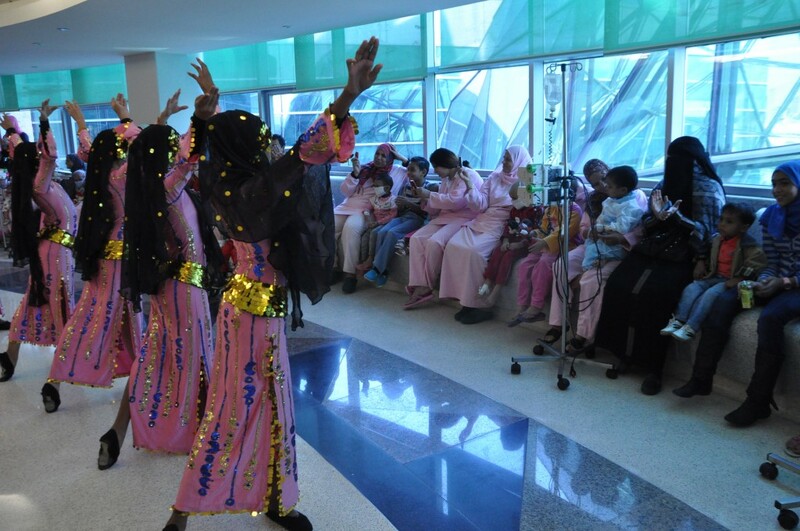 I signed on to volunteer at 57357 Children’s Cancer Hospital Egypt as a dance teaching artist, providing both dancing sessions for different groups of patients and dance therapy for the teen peer support group. All good things. Childhood cancer is the same here in Cairo as it is in Chicago. It is the same beast. Although, lymphomas are more prevalent and rates of survival are generally much lower. Fundraising via social media is almost unheard of here. And there is mistrust of health care directors who people believe profited during the Mubarak regime. Religion, corruption, and politics are huge factors in both countries. But the child superheroes are the same. They are joyful and generous even under the most difficult of circumstances. This past Thursday, I was honored to bring about an event that was pretty much my dream when I came here. To bring together the faculty and students of the Academy of the Arts’ High Institute of Ballet where I am teaching, and the world of 57357. The primary school students of the ballet institute came to the hospital and performed three numbers: a lively folkloric routine, the Russian Trepak from The Nutcracker, and a pop jazz routine to Mambo No. 5. They performed three times total: once onstage in the auditorium for the out-patients, and then twice on different in-patient floors for the patients too sick to leave the ward. The staff at the hospital were kind enough to provide full support for the music and lighting. It was a real show. Rock concert quality. After each performance, the staff gave out the Twinkies and treats they had brought for the kids, and I led the patients, parents and nurses in a participatory dancing session. This was similar to what I regularly do at the hospital, but this was the first time the faculty of the ballet institute had seen such work. I looked to my left and there were all they were by my side, on their feet, joining me, engaging with the patients. They were hooked. I think these faculty members will definitely continue this work and a strong partnership will develop. Inshallah. At the end of the day, the faculty had to get the dance students back onto the bus, so I stayed on to lead the last dancing session on my own. There was a girl of about 12 years. She had a hair net, a slouched and weak posture, and was in a wheelchair pushed by her father. She sat on the far side of the audience on the in-patient lobby, clapping along to the healthy kids in their sparkly costumes dancing to Mambo No. 5. Then I started to dance with all the patients, many moving just one arm cause of the IVs. I walked over, grabbed the arms of her wheelchair, and pulled her onto the dancefloor. 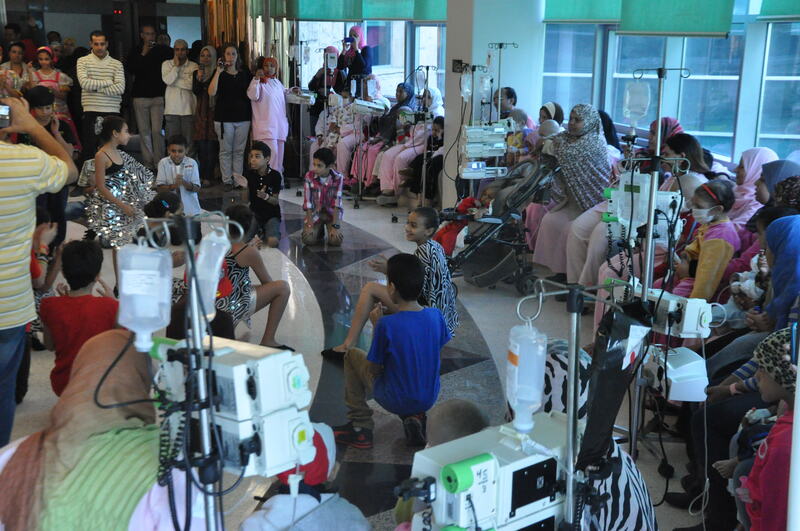 We span in circles, wheelchair and all, together with the other dancing patients. Unable to speak the same language except for the one in our bodies. Her father beaming from the side. Her face all smile and her arms outstretched to their full potential. That is what this is all about. Don’t worry, my friend. With these kids, there will always be dancing. * For more photos, please visit the Facebook album. **This post is a follow-up to a previous post, Dance and Cancer.